Artist Josh Budich is back at Nakatomi with a very special 24×36 uncut sheet edition of his killer Lebowski portrait sets! 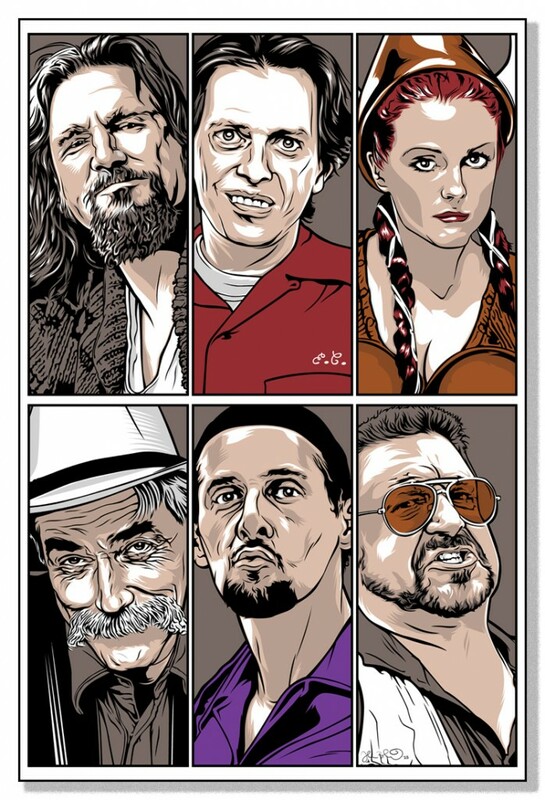 “Takin’ ‘er easy for all us sinners” is a hand-printed 24×36 inch 7-color print, available in a limited edition of 150! Printed on 100lb Madero Beach French paper at the Nakatomi Print Labs. Prints will go on sale on Wednesday the 28th at 2pm Central Time in the ART PRINT section of the Nakatomi store HERE. Since prints are in production now, please allow 10 days before shipping begins! See you here on site at 2pm Central! ← “SAGA” final UnReal Estate 4 print- On Sale Tomorrow!